There have always been people who for one reason or other -- inability to find a job, old age, disability, racism, sexism, drug addiction -- have been unable to cobble together the means to support themselves. For most of the nation's history, and for all of its colonial past, those people have been dealt with much differently than they were following the enactment of the New Deal, and, in particular, the 1935 Social Security Act, which created old-age insurance, unemployment insurance and welfare. Those programs were expanded over the next several decades and grew to include Medicare, Medicaid, the children's health insurance program and food stamps. Quantifying the success of a social policy is an exercise often frustrated by life's infinite variables. But Social Security is one program so effective that the entire decline in poverty can safely be attributed to it, even by the most cautious academics. "Our analysis suggests that the growth in Social Security can indeed explain all of the decline in poverty among the elderly over this period," concluded Gary Engelhardt and Jonathan Gruber in a rigorous 2004 National Bureau of Economic Research report on the program. The nearly 54 million people drawing Social Security benefits receive, on average, $1,073.80 per month, according to the Social Security Administration. The Center on Budget and Policy Priorities estimates the program keeps some 20 million people out of poverty, including 13 million elderly Americans. Engelhardt and Gruber calculate that each ten percent cut in benefits would lead to a 7.2 percent increase in poverty. Such cuts are beginning to seem likely, despite the robust state of the program's finances, which can cover full benefits through 2037 and boasts a surplus trust fund of $2.6 trillion as of this fall. The keystone of the Social Security Act, its eponymous retirement insurance, has already been fractured by a deal between Obama and Senate Minority Leader Mitch McConnell, who this month agreed to a Social Security payroll tax holiday as a method of stimulating the economy. Republicans openly admit that when the holiday's expiration arrives next year, it will be treated as a tax hike, meaning Social Security's dedicated revenue stream, which has never been tampered with before, may now be compromised, at the same time that leading Democrats propose cutting benefits and raising the retirement age. Time Magazine summarized the position of Social Security's Republican opponents in 1936: "Wage earners, you will pay and pay in taxes...and when you are very old, you will have an I.O.U. which the U.S. Government may make good if it is still solvent." Aunt Winnie, whose story is preserved in the archives of the Historical Society of Washington, had been sent to an American institution that was by then some 300 years old and went by a variety of names: the county farm, the poor farm, the almshouse or, most often, simply the poorhouse. She would probably have been surprised to learn that more than a hundred years later, after the virtual eradication of elderly poverty, a powerful political movement would materialize with the mission of returning to the hands-off social policies that made the poorhouse the nation's only refuge for the jobless, the aged, the infirm and the disabled. That movement's most outspoken proponent is Fox News host Glenn Beck, who doesn't merely pine for the pre-New Deal era in general, but regularly prevails upon his audience to recognize the particular genius of some of the period's presidents, whose ideologies of inaction he holds up as the American ideal. Solomon became a centralized power in Israel (something, by the way, God had warned Israel about back in 1 Samuel). 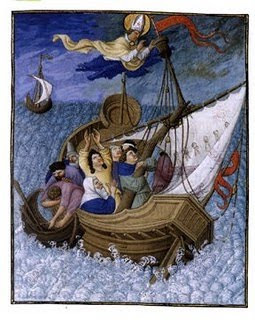 He became the main source and owner of chariots and arms, which he also sold; so he was an arms dealer. He levied tributes on those who came through Israel (it was on the trade routes), and on all the peole of Israel. Tributes, of course, are nothing more than taxes, and they do nothing more than take money from the many, and give it to the one: the king. It's good to be king; for the king. He also built the Temple, in a style typical for the Near East; but there's another issue there, and it's the same underlying issue: the Temple enforced control. The Temple was arranged into three areas: the outer Temple, where women and slaves and all the "non-persons" of Israel could gather. The Inner Temple, where the men of Israel alone could go; and, in a small room at the back, the "holy of holies," where only the priest could enter. Brueggeman said if you put wings on the Temple, it would be a modern passenger plane. The elite board first, and get the best seats in a special section, while the rest of us board last and sit cheek by jowl. Those up front even get the curtain drawn so we can't see what they are eating. The cockpit, of course, is there the priest goes. Contrast this to Sinai, says Brueggeman, where all of Israel saw Moses on the mountain talking to God. Now, most of Israel can't even go into the inner temple, and no one is allowed to venture into the place where God could be seen. Control, in other words, with access guaranteed by accidents of birth. All the Jubilee stuff that comes into Deuteronomy, by the way, doesn't even exist yet, and under Solomon it never will. That would cost him control. Solomon becomes "wise," too, not because he is born that way, but because he puts scholars on his payroll, and pays them to know and learn wisdom and give it to him as he needs it. He controls knowledge, then, too; as much as he possibly can. And Solomon does one more thing: when he fights his brother for the throne, he kills all his brother's supporters after he becomes king. All of them save the priest, whom he exiles to a small village, where the priest leaves so long as he remains quiet. His power consolidated, Solomon proceeds to build a Temple to prove his power and wealth, and to enjoy a reputation that he largely bought and paid for with other people's money. And Democrats pander to the relentless fear that an offer of kindness may wind up helping someone who either doesn't need the aid or who is in need but is to blame for their pitiful circumstances. President Obama articulated that worry in a weighted response to a question about why his attempts to slow foreclosures had been largely unsuccessful. During a meeting with progressive bloggers, Obama was asked to defend his administration's failure to stem the foreclosure tide. The president's worry, he said, was that his anti-foreclosure program might accidentally help people who didn't deserve it. "The biggest challenge is how do you make sure that you are helping those who really deserve help, and, if they get some temporary help, can get back on their feet," Obama said, specifically adding that he didn't want the effort to assist "people who through no fault of their own just can't afford their house anymore because of the change in housing values or their incomes don't support it." In other words, if we cannot help the deserving, perhaps it is better not to help anyone at all. Read the story of "Aunt Minnie" at the beginning of the article, and try to imagine yourself in her place. Where, in a major urban area, would you go to build a shack from tar paper and scraps? One whose land would you put it, and would they let you stay there? The homeless now live under overpasses or bridges or in ditches, if they are allowed to. Since Houston widened I-10 the overpasses, once home to the homeless, are barren concrete stretches. I can only assume the police are more diligent about driving people away who seek shelter there. I don't assume there are more rooms for them, more "poorhouses" or workhouses or debtor's prisons. Where would I go if I lost my jobs, and so my house? Where would you go? Who would take you in, and for how long? Or should we go back to this? "I am informed that you are three months back on your rent. The understanding that I had in your case was that if the county furnished the food, you were to take care for your own rent," wrote a county commissioner to Green on Jan. 26, 1937, one of the coldest winters of the century. "If you do not 'snap out of it' and get to working and paying your rent, my next call on you will be with the police officer and will take your whole family to the county farm. The state of New Hampshire will place your children. A word to the wise is sufficient." If we are not responsible, if we are not our brother's and sister's resource and refuge, who is? The model for the Orthodox service is the throne room of God, which is largely the model of the liturgical practice of Christianity (taken from Isaiah's vision of God, where the prophet is commissioned to preach to Israel on God's behalf). But in the Orthodox tradition, there is a screen between the altar and the people, the latter standing about as if in a king's court, waiting for an audience. Christ is born! Christ is born! Christ is born! Fourth Sunday of Advent 2010: Keep Awake! Jacob Marley tells Ebenezer Scrooge that humans are supposed to go out as far and wide as possible among their fellow men, and offer what aid and comfort they can to each other, and if they fail to do so in life, they are doomed to do so in death. It's a rough kind of justice, but a fair one, at least. It isn't a punishment imposed by a wicked and angry deity, it is a balance imposed by the conditions of human existence, and you will do it now, or you will do it later. Jesus was a wanderer, an itinerant preacher, they taught us in seminary, a man with no home and no fixed abode, never knowing where he would sleep the next night after the morning he woke up. Was Dickens thinking of Jesus when he wrote? Keep awake!, we are told during Advent. Keep awake! Is it an order to never sleep? Or to pay attention to what signs may come? The "virgin" in Isaiah is actually a young girl, not a sexual neophyte, When God promises that a young girl will have a child, God is promising that the race of Israel will go on, that life will return to normal, that salvation will come to the besieged city of Jerusalem. The child will be a sign that God is with us. 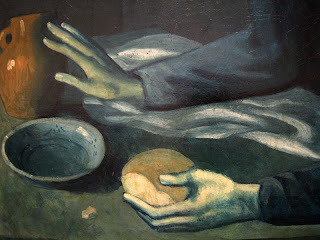 Ahaz doesn't dare ask, and the refusal to take God's offer seriously is what annoys God: "Is it too little for you to weary mortals, that you weary my God also?" So Jacob wails when Scrooge refuses the favor of the ghostly invaders of his sleep. It is not for us to deny what is offered to us, when it is offered for us. We who are so sure some system, be it business, be it culture, be it a deus ex machina, will save us from ourselves, will finally be so perfect that we only need to keep putting one foot in front of the other to obtain the desired goal; we are the ones who need to keep awake! And we are the ones who need to listen, when our dreams are invaded. It's only a little time now until the event we have been waiting for. Will we be awake for it? Scrooge wanted his business to be so perfect he didn't need to be good, and he thought he'd managed it. He wanted to stay in his office and deal with his numbers and let that be his salvation, and in the end he finds out the shattering truth: that his salvation was in the people he encountered, and in the life he lived among them. His salvation was in the young girl giving birth to a baby, further proof that, even in the darkest times, God is with us. His salvation was in being a community member with that baby, and with all the babies, young and old. 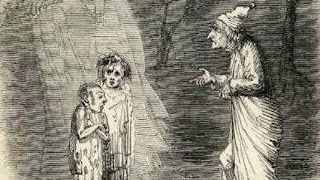 Scrooge slept through his life until, in one night, on one Christmas Eve, he was woken up. After that, he never slept again. Joseph slept through his life until, in his dreams, he was woken up, was shown his connection to all humanity, was shown his value and strength and necessity. Our spirits must always walk out among the living; they will do so in life and in death. 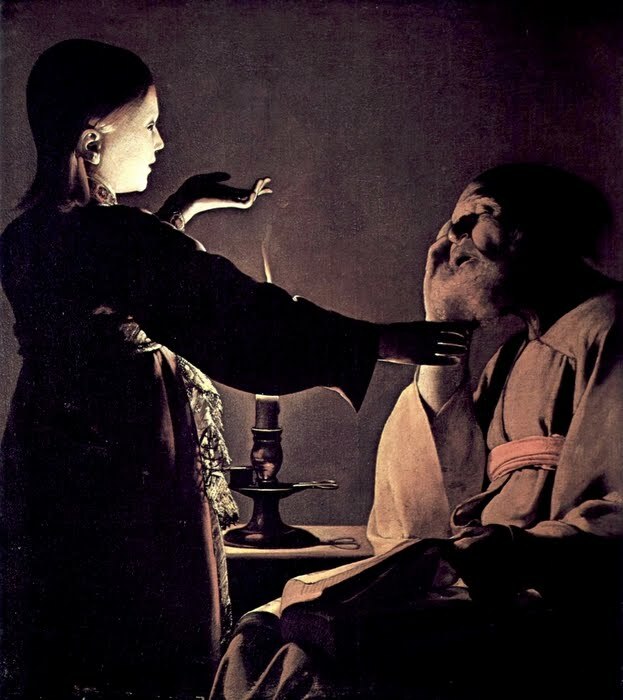 Joseph may not be real; Scrooge may be only a fictional character: but their spirits walk out among us every year, and bring comfort, and bring lessons, and tell us to stop relying on systems and be good by doing good. This year, maybe we can keep awake for them. "If Christ returned and saw everything being done in his name, he'd never stop throwing up." "The Methodist church is pro-illegal immigration," he continues. "They have been in the bag for socialist health care, going as far as sending out emails to their membership "debunking" the myths of Obamacare. Say, where are the liberal complaints on the separation of church and state?" "In short, if you hate America, you have a great future in the Methodist church," he says. Something Mr. Phillips clearly doesn't understand, and doesn't want to understand. But it's the hardest lesson to learn, and even harder to live by, so he's not entirely to blame. Or, at least, he's not to blame in a condescending way we can call stand around and sneer at and feel superior over. It's a human failing: we reduce people to things, elevate ideas to deities, and decide the only people who matter are the people like us. And suddenly it's easy to see who is right and who is wrong, and just how socialist the Methodist church is. Which is not to say the Methodist church is not guilty of over-reaching and of identifying certain people as people, and other people as ideas, and on that basis deciding who the proper people are, and who the bad ideas are. I don't know of any church that isn't guilty of that particular sin. I mean, the title of this post, for example. Mr. Phillips might well agree with it, but for reasons profoundly different from those meant by the character in the movie. From my point of view, it's sort of liberating, actually. "The need is greater this year than I've ever seen it. One little girl didn't want anything for herself. She wanted a winter coat for her mother." "And blessed is anyone who takes no offense at me." Kinda hard to be offended by a baby. Maybe that's why we like Christmas so much. This Appalachian carol reminds us of the offense of the Christchild; the abject poverty, the complete rejection of all that is important and powerful and remarkable in this world. 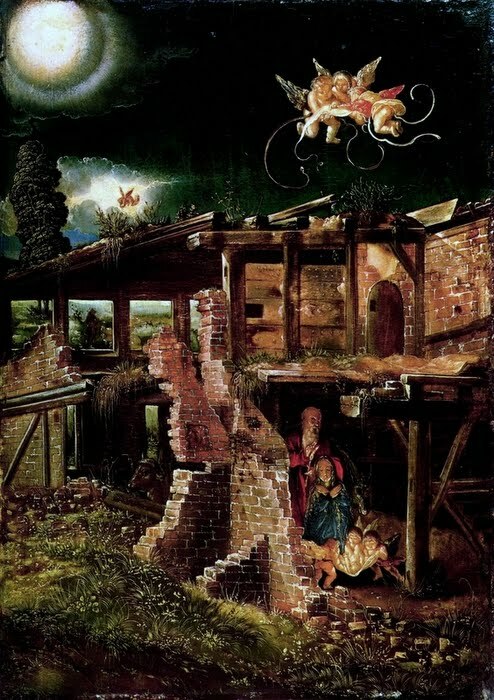 I've always wondered if there was a connection between Matthew's attention to the birth of Jesus, and the Egyptian custom of noting the birth of a Pharaoh. The Egyptians marked birthdays of Pharaohs, when most of the rest of the Western World didn't, because Pharaohs were gods, and the birth of a god was important. That doesn't explain Luke, of course; but it does explain why Mark and John pass over the early years and go straight for the adult Jesus. To even consider God as a child was an offense too great for them. 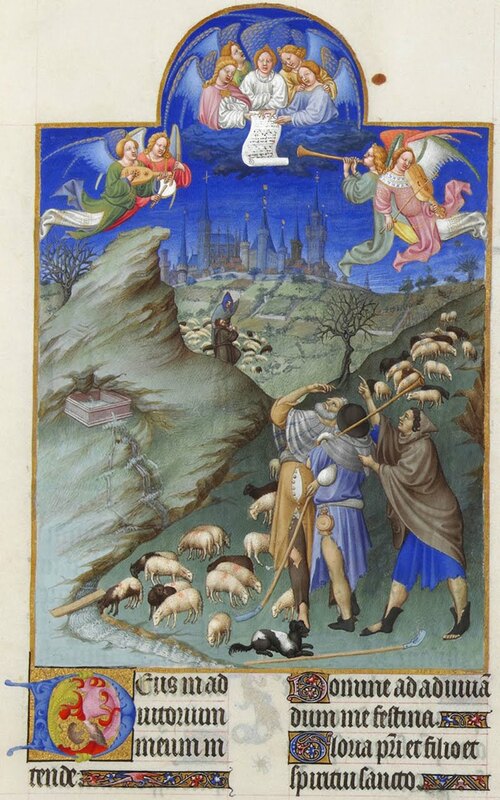 Matthew recapitulates the history of Israel, with the Holy Family going into and out of Egypt; maybe something of Egyptian custom clings to his story. Luke was a Gentile, and maybe the Egyptian customs that influenced Plato before him, were an influence in Luke's culture. When John heard in prison what the Messiah was doing, he sent word by his disciples and said to him, "Are you the one who is to come, or are we to wait for another?" Jesus answered them, "Go and tell John what you hear and see: the blind receive their sight, the lame walk, the lepers are cleansed, the deaf hear, the dead are raised, and the poor have good news brought to them. As they went away, Jesus began to speak to the crowds about John: "What did you go out into the wilderness to look at? A reed shaken by the wind? What then did you go out to see? Someone dressed in soft robes? Look, those who wear soft robes are in royal palaces. I don't know about you, but I wore a soft robe this morning. I don't think of my home as a palace, but compared to the places Jesus lived in, I'm sure it is. And yet, would I go out into the wilderness to hear a prophet speaking? Would I even drive downtown on a weeknight? Probably not. And it may well be the prophets are down there, working in the homeless shelters and food pantries, some of which I don't even have to go downtown to visit. I didn't sleep in feathers at my birth, but compared to an animal's feeding trough, I might as well have. Do we take offense at this? No? How about this? There's not much sense of patience at "Christmas time," that season that seems to extend back closer and closer to Halloween, and be all but over the Monday after Thanksgiving. There's a great race on to get your shopping done before December is very old. Someone on the local NPR station recently was kindly advising that you shop early because selection will be limited as the month wears on, and clearly you want to get the best present for everyone on your shopping list. Do we take offense at this? Do we even think about being patient at this time of year? A TV ad shows a young girl counting down the days, minutes, hours, until Christmas. Does she exemplify patience, or try it? 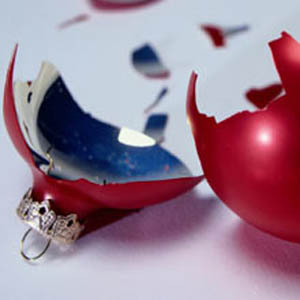 Would anyone buy the "countdown" ornament being advertised, if this would be the result? Do we think about not grumbling against one another? When we are in line in the stores, even when we aren't Christmas shopping, do we do so patiently? Hopefully some of you do, but I don't. I don't like crowds. Crowds make me anxious. It's just a deep-seated thing, but it reduces my patience to a nothing. I don't want to think of the prophets when I'm in a crowded mall. I want to think of a stink bomb, clearing people out so I can finish and leave quicker. Hardly the sentiment for Gaudete, is it? Not even the proper sentiment for Advent, when we are told to wait, even as we keep awake. But if we keep awake, it's more likely because we bought the stupid countdown ornament, and our kids are reminding us hourly of how much closer Christmas day is. Or we're worried that if we don't shop now, we'll miss out on what someone really wants for Christmas, and then won't we be schmucks? Alright, now we're down to something offensive. Maybe. Our lighted plastic baby Jesus on the lawn should be replaced with real children living under newspapers, or with the homeless who used to sleep under the freeways near my home. since the highway was widened and the laws enforced, they aren't there anymore, and I seldom spend much time in the year wondering where they are now. In homes? Not likely, in this economy. Where did they disappear to? I put manger scenes out showing crowds of people gathered around a new-born Christ child; I scatter them around my house. I wonder if I could add figures of homeless people, would that be an offense? Or would we just get used to it? 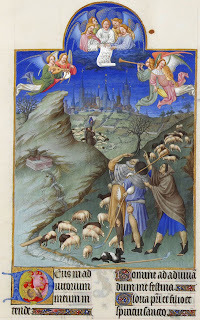 If I replaced the shepherds with homeless men and pregnant teenagers, and the wise men with CEO's and rich smiling pastors, would anybody mind? Would we take offense at this? No? How about this? He has helped his servant Israel, in remembrance of his mercy, according to the promise he made to our ancestors, to Abraham and to his descendants forever." Mary sings that God has sent the rich away empty, and filled the bellies of the poor; that God has scattered the proud in the thoughts of their hearts, brought down the powerful from their thrones, and lifted up the lowly. Who made the rich "rich," except us? Who put the powerful on their thrones, except us? Who made the lowly "lowly," except us? How is it we are not offended by this? 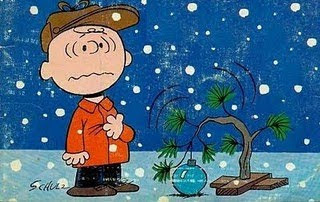 The lowest and simplest things are what Christmas is really all about. The poor and the homeless and the hungry and the imprisoned; the deaf and the lame and the sad and the lonely; they are who Christmas is really for. Nothing ever changes, but small things change, year after year, and even if the changes are not permanent, are not systemic and institutional, they are real. God has again filled the hungry with good things and sent the rich away empty. If it doesn't seem to be done for enough of them, what have we done about it? Have we added to the total? Or have we ignored them again? The days until Christmas are counting down. Advent is the time of counting, and waiting, and wakefulness. Are we awake this time? If we are not offended, we're probably not. If we are offended, don't take it personally. Take it as a call to wake up. We sleep in feather beds, and wear soft robes, and even, by most of the world's standards, live in palaces. But we can still go out to the wilderness, even if that wilderness is just down the block, and we can see what the prophets told us to see, and we can see what we can do. Learn their patience; it will not change at once, but it will change. Keep awake. God is feeding the hungry, comforting the afflicted, making the blind see, the lame walk, the deaf hear; and you can help. You, too, can bring the good news. 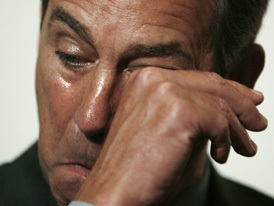 If only Boehner wept as copiously for the poor and the sick as he does when confessing his own greatness. I really don't care how many times this has been posted. Sunday is Gaudete, and if this doesn't move you to joy, well...I'd be worried. 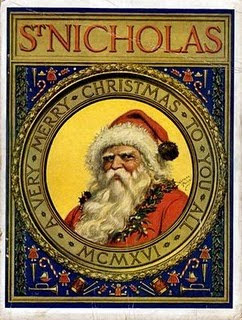 I've posted several times on St. Nicholas Day over the years. It tends to be the same bits, over and over. But reflecting on the state of the economy, and the attitudes expressed toward not extending unemployment benefits because it encourages sloth (apparently poverty is good for you! Well, for you, but not for me....), I though it was fitting to repeat this, from three years ago. Nothing has really changed all that much, except the names of the suffering. The story of Nicholas brings me to Act One of this story, from This American Life. There are two things worth noting about it, in this season when we venerate gift giving and pay a very backhanded acknowledgment to the saint who supposedly threw three bags of gold through a window in order to save three girls from prostitution. One is the sincere American belief, represented here by John Pickle, that "third world workers" are better off being exploited, even in America. There's a deep vein of racism here, as well, though, of course, none dare call it racism. It's such an ugly word. It's the social equivalent of a death sentence. We reserve racism for truly heinous people; people like Hitler. We dare not use the word openly and honestly; such is the depth and breadth of the hidden wound of the "peculiar institution" in American culture. The idea of factory workers having their lives improved by exploitation in factories is, of course, precisely the philosophy Romanticism rebelled against (see William Blake, especially). Brute economic exploitation is something even Swift condemned. But, as "V" said: "Ideas are bulletproof." Which goes for bad ideas, too. Which I still think is what Advent is all about. It really is a good place to begin the year. 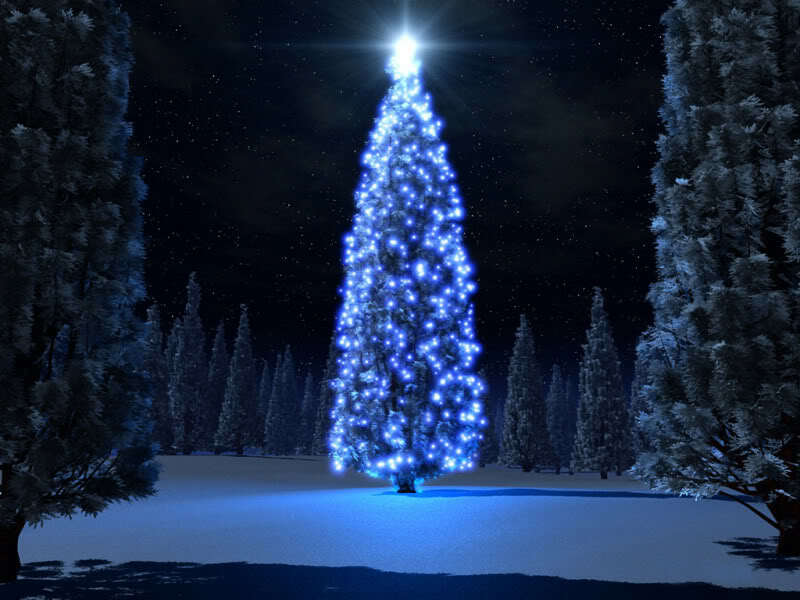 And it's not an impossible place to begin, because it ends so quickly, with Christmas. You know, sometimes I think the ancient Church really knew what it was doing. It's also a good season, as well as a good day, to recall these words from the 4th century, lest our "comfort zone" grow comfortable again. 72:18 Blessed be the LORD, the God of Israel, who alone does wondrous things. 72:19 Blessed be his glorious name forever; may his glory fill the whole earth. Amen and Amen. Advent is about death. Somebody noted that, somewhere. It's not a new idea. Advent is about death. It is about destruction, and ending, and apocalpyse, and eschaton. "Apocalypse" means something is revealed. "Eschaton" means everything has come to an end. 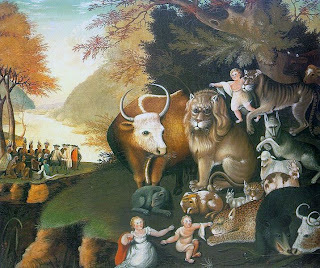 What better eschaton could one hope for than the "peaceable kingdom" of Isaiah? The nursing child shall play over the hole of the asp, and the weaned child shall put its hand on the adder's den. That's an eschaton, an ending. What, you thought they were all about doom and despair? Who wouldn't want an eschaton like that? But what about apocalypse? What about what is revealed? That's the justice side of advent. Justice makes us nervous, unless we can be assured we stand on the side of John, and get to look across the river and snicker at the Pharisees. Justice is justice when it is done unto others. When it is done unto us? That's when we despair. 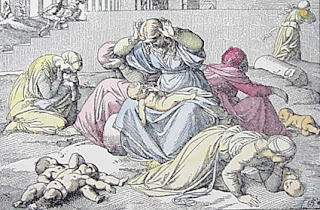 In the picture, it's easy to identify the natives with the poor and meek of the earth, and the Europeans bringing Christianity with the wicked who will be struck and killed; or at least should be. But they, not the natives, are our ancestors, in blood and in spirit. So let's not begin there. Advent is about death. But we can't begin there, either. Advent and death? What beginning is that? The advent of death? That can't be right; we had death long before we had the coming of the Christ. So what does advent have to do with death, when it's supposed to be about the anticipation of birth? Well, Advent comes at the end of the year but it is the beginning of the Church year. The lessons for Advent invariably speak of endings rather than beginnings. It almost seems we can't get started without thinking of the ending. We often think of that as the goal. Every process, Aristotle taught us, is supposed to have a telos, a goal, a purpose. 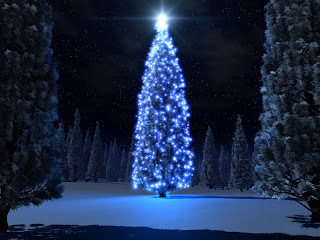 So the birth, we are told, of the Messiah has a purpose, and the angels will sing it: "Glory to God in the highest and on earth, peace, goodwill toward humankind." Not much of a telos, really, unless we connect it to the Peaceable Kingdom, but it doesn't link up very well, There isn't a cause and effect connection between the Advent and the Eschaton; at least not one we can see easily. Certainly not one we want to make easily. It's rather like, actually, the question of the purpose of life. Was Jesus born in order to die? Is the telos of life merely death? Is the process of life merely dying? Is that the end in our beginning? Surely not. No, certainly not. That is too grim altogether and, what is worse, too reductive. Life is not a struggle against dying. Life is a struggle with living. Life is a struggle with God. Life is a struggle with self. Life is a struggle; but it is not against dying. That's a modern heresy, a contemporary confusion. Life is not a fight against dying; life is a fight for fully living, for "life into the ages," for the eternal life the Gospels constantly promote to us. And the secret of the struggle is: in our end is our beginning. Not in some metaphysical, in the sweet bye-and-bye sense. Not in the sense that we must die in order to enjoy resurrection into eternal life in a heavenly realm. No, our end is what we must face in life, in order to fully live. Why else would John tell us to "Bear fruit worthy of repentance," if we couldn't bear fruit in this lifetime, and repent in this lifetime, and enjoy the fruits of our repentance in this lifetime? And what is repentance except an end, and a new beginning? And what need have we of this repentance, if not in preparation for the adventus, for the coming of the Lord, the Anointed One, the Christ, the Messiah? What is the telos of the Messiah, if not to bring us life now? But is the telos the full explanation? Is there a goal, a purpose, to life? Must there be? Need there be? If life merely a process, with a goal at the end? If it is, then maybe it's just a process of preventing death; or a process of accumulating wealth; or a process of acquiring security and comfort and friends like notches on a belt. If life is merely a process, the pursuit of a goal, we would have achieved it by now. If life were merely a matter of discovering a method for satisfaction, we would have discovered it by now. If life were merely a puzzle offered for solution, we would have solved it by now. So what is the advent, that it keeps returning every year, and the process, that it keeps going around and around in circles? It is not process at all. It is a revelation. It is an eschaton and an adventus that returns again and again because the eschaton is not an ending, the adventus is only a revealing. What is revealed and understood is up to us, and it is not a telos, an end, a purpose. It is, if anything, a mystery. It is a call to change. It is a call to life. It is a cry of struggle. It is a cry of joy! It is the apocalypse because it brings an end to the old, and the birth of the new! But it is only birth; it is beginning, not ending; adventus, not eschaton. It is the end that starts the beginning. Is there a telos to the whole of Creation? Then it is in Isaiah's vision of the Peaceable Kingdom, when life goes on and all the nations inquire of the Lord. It is in the judgment that brings wickedness to a final end and life into the ages to all people. It is the swords beaten into plowshares and the poor raised up while the proud are cast down. But that is not an eschaton, either; not an end, but merely a beginning. Swords need always to be turned to plows, the proud need always to be thrown down and the poor need always to be raised up. This is not an end but a constant beginning. In our end is our beginning, and in our beginning is our salvation! I had almost forgotten it was today. I repeat this every year. This post is largely as I wrote in in 2008. I preached from this story when I had a pulpit and used it, probably unwisely, in a sermon when I was invited to a pulpit in Advent. It is volatile stuff, and repetition had dulled me to that. It shouldn't be repeated enough to dull one; just enough to make one sensitive to the world, and to the message of Advent.